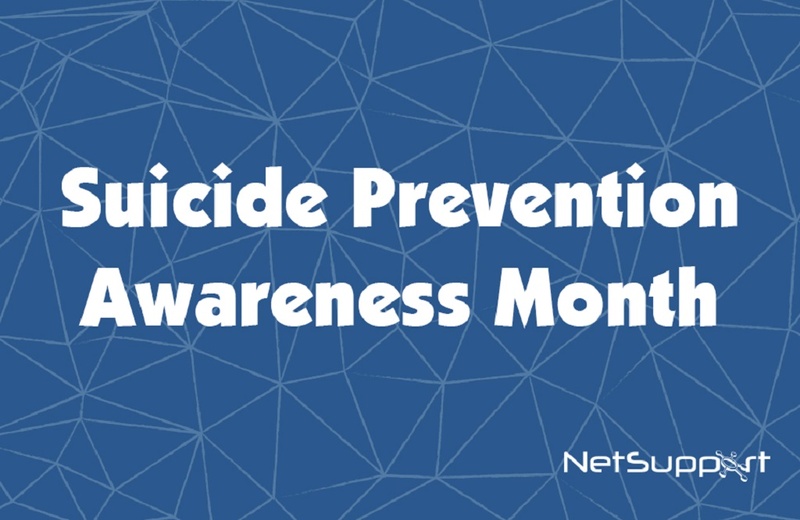 September is National Suicide Prevention Awareness Month. During this period, mental health advocates, prevention organizations, survivors, allies, and community members unite to share resources and stories in an effort to shed light on this highly taboo and stigmatized topic. Suicidal thoughts can affect anyone, no matter what their age, gender or background. To help identify and support at-risk students during school hours, schools are using eSafety software tools. These contain multi-language keyword monitoring features to flag students copying, searching for or typing any concerning keyword, allowing them to approach the student or hold assemblies to discuss the topic. Tools that also allow students to report their concerns to a trusted member of staff, as well as internet metering and webcam blocking, will also help create a safe learning environment. For information on NetSupport’s software solutions that contain these tools and more, click here.